Jaguar XF Sportbrake: At school, I was the proud owner of certain publications that instantly defined me as a young man of great taste and discernment. While others were marking themselves out as future captains of industry by renting out, um, ‘gentlemen’s’ magazines, I was hoarding the brochures for two Jaguar estate cars from the early 1980s: the Lynx Eventer and the Avon XJ6 Estate. The former was a beautifully executed shooting brake version of the XJS, of which 67 were built, and which is currently one of my strongest tips for a future classic. The latter was a truly hideous addition of the hatchback of a Renault 5 and some sheetmetalwork from what looked like a particularly badly designed hearse to the back of a perfectly respectable saloon car. I loved them both and their brochures, and have been a fan of the idea of a Jaguar estate ever since. The boot isn’t the biggest you’ll ever see, but has more than enough room for your kit. When the X Type estate was launched in 2004, the baby Jag immediately soared in desirability. Now it’s the turn of the XF, five years into its life and, again, it makes a good, but easily overlooked, car many times more desirable. Range Rovers and Discoveries might be the family vehicles of choice today, but big estates were commonplace 30 years ago and there’s no reason, with the XF Sportbrake, why they shouldn’t be again today. It’s a handsome thing and drives extremely well indeed. When the XF was launched I wrote that it was probably more possible to cover ground quickly without alarming one’s wife in an XF than any other car currently in production. 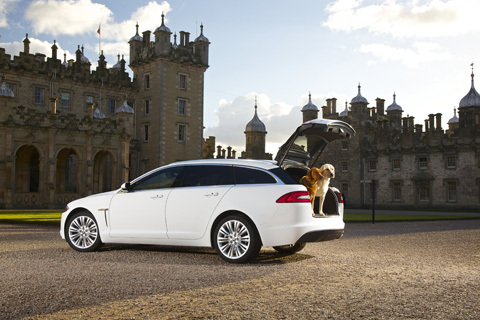 That’s still true, and it’s true of the Jaguar XF Sportbrake. The Jaguar XF Sportbrake’s dashboard features a satnav and rotating air vents. 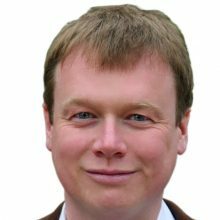 The one I drove was fitted with the same 3.0 diesel engine that is fitted in the latest Discoveries and Range Rovers, and very good it is too. It delivers noticeably punchier performance than the off-roaders thanks to its lighter weight and better aerodynamics, and the addition of an estate body has done nothing to harm its exquisitely judged ride and handling. The interior is more interesting than its German competitors, with its Tunnock’s Teacake sized gear selector and air vents that rotate round as you fire the engine up. Perhaps it doesn’t have quite as much room in the boot, quite such a modern satnav system or possibly quite the same quality in some of the minor switchgear, but we’re talking very small margins. 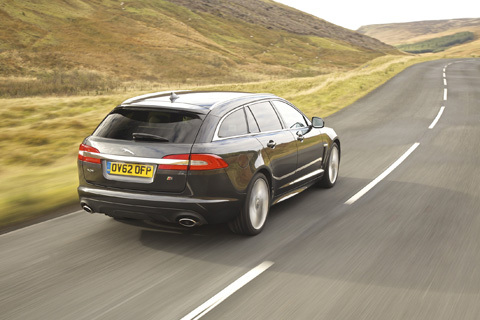 The Jaguar XF Sportbrake is a very desirable piece of kit and should rightly bring Jaguar onto your radar. If you don’t need off-road capability it can transport you, luggage, shooting paraphernalia and even dog with grace, space and pace, as the old Jaguar ads used to say. I’m pleased to say it is definitely more the heir to the Eventer than the Avon.